Casale has announced the award of a contract from Messrs. TogliattiAzot (TOAZ), Russia, for the supply of new 2200 tpd urea plant. 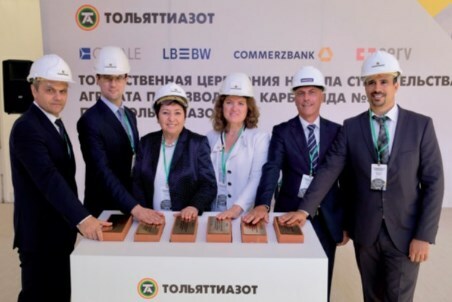 This will be the 3rd urea line for the Russian fertilizer producer, and one of the largest in the world, and it will be located in their site in Togliatti, Samara region, near two existing plants. With the new line, the total urea production will increase by 70%. The kickstarting ceremony was held in October with the presence of all stakeholders of the project. The plant is set for completion in the 2Q21. Casale will provide the proprietary know-how, all engineering, and the supply of offshore equipment and materials. Casale’s sister company, namely Casale Project AS, based in Prague, will be responsible for the supply of the onshore equipment and all construction works at site. This plant is the 3rd in a row that Casale has acquired in Russia in the last 2 years, with two others commissioned for a different customer, the first of which is already in an advanced stage of construction. Furthermore, a new urea plant, licensed and designed by Casale, has been recently put on stream in India.